Manicure Cuticle Revitalizing Oil conditions and nourishes the cuticles, adding a necessary soft touch to your manicure services. 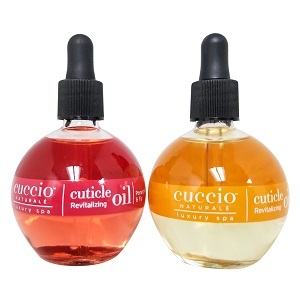 Apply one drop of Cuticle Revitalizer to each cuticle and massage gently. Can be used daily. Honey: Carthamus tinctorius (safflower oil, Melianthus annus (sunflower) seed oil, Gossypium herbaceum (cotton) seed oil, olus oil, (Vegetable oil) (hule vegetale), milk extract, mel (honey) extract, fragrance (parfum), tocopheryl acetate (Vitamin E acetate), tocopherol (vitamin e).